Entrepreneurship is the heart of our economic system. It is also the clearest evidence of capitalism working at its best. But it requires several things to thrive. And two are at risk of being ripped away. The level playing field of the Internet, as articulated in this NYTimes opinion piece and the availability of getting all levels of investors involved even with the recent exciting legislation that authorized Crowd funding. The FCC is consider a two channel Internet where the big and wealthy players get faster bandwidth and the rest of us have to be in a very slow lane. The level playing field is important to every entrepreneur, because if startups have to use the slower lane, then they cannot easily create disruptive technologies. This has fueled our growth as a nation for decades since leapfrogging also promotes new manufacturing and channels for access to purchasing. The FCC is seriously looking at undermining this equal access which underlies the success of entrepreneurs whether you are in tech on not. Everyone uses it to create, to sell and to market. The new SEC ruling that is actively being considered is redefining the accredited investor status. It could cut out a huge group of investors that startups count on; a set of smaller investors combining money to invest in impact investing together. The new delineations promote dividing lines that are based on wealth accumulation rather than the time tested method of knowing well and be close in expertise to what you are investing in. It is the wrong place to put effort. It is more important for the SEC to work on two characteristics of investing that improve the working of Capitalism. The first is transparency of businesses. One of the major reasons that investing is risky is so much can be hidden and manipulated by the company offering stock for capital investment. The second downfall for investors is lack of investing literacy. It the SEC created requirements for full transparency coupled with launching a living project on upgrading investment literacy, their time and regulation would be better spent. For more, read Crowdfunding Insider. And the world of we all live in would benefit if both of these agencies were serving capitalism and its strongest asset, entrepreneurship, rather than existing established To understand how important the reconfiguring of this regulation is, it is interesting to look at Martin Zwilling’s piece in Forbes recently, on how much entrepreneurs and startups are driving the future of work. In it he cites a recent book, I also recommend by Alison Maitland and Peter Thomson,“Future Work: Changing Organizational Culture for the New World of Work,” which offers some real insight into how many domains stand to be effected by these potential regulatory changes. Zwilling points to the 20 million non-employer businesses out there today, with more starting every day half of which will need investment at some point. Records numbers are taking this path since Corporations are stuck and not great places to apply creativity and personal agency. 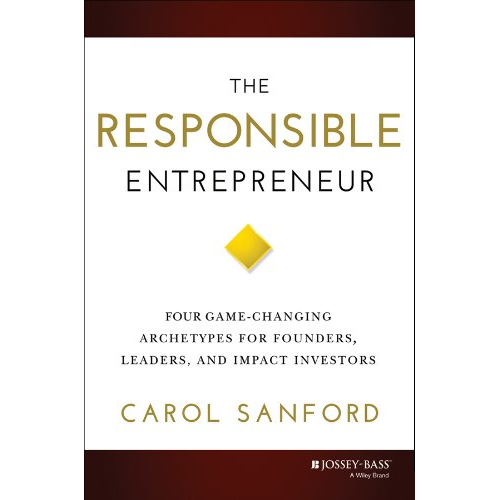 In The Responsible Entrepreneur: Four Game Changing Archetypes for Founder, Leaders and Impact Investors, one of the four archetypes, The Regenerative Entrepreneur, works on reconnecting us to our governing agreements and the promises and principles they are based on. Particularly, a constitution to guide a nation along with the regulations and judicial decision made at conception. 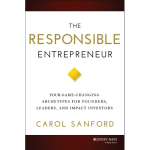 It is time for one of these courageous entrepreneurs to step into the breech of each of these potential regulatory derailments. If you are an entrepreneur who counts on high speed Internet and also do now or will at some point in the future need investment capital, get involved by checking any of the resources I have listed here, buy The Responsible Entrepreneur to learn the pillars of such change, and join our podcasts where I interview impact investors, business owners and business unit leaders who exemplify the new bred I call The Responsible Entrepreneur, who takes on large scale change in industries, social systems, cultural paradigms and governance. And The Responsible Capitalist who invests in and mentors them. 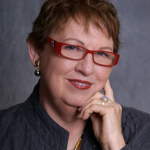 Learn how to do due diligence the social side of an investment with the same skill as on the financial side.